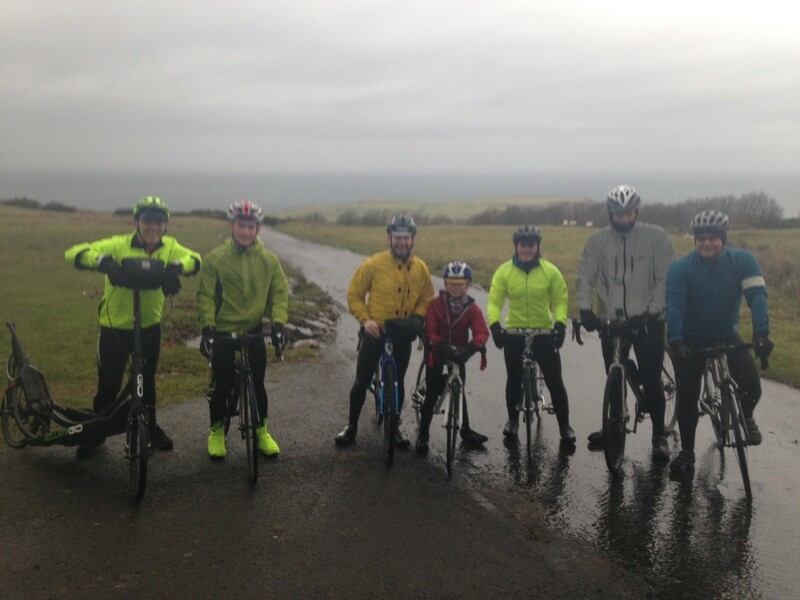 Despite waking to a howling windswept rainy morning, 11 hardy souls turned out for our inaugural ride to the Carrick Hills. 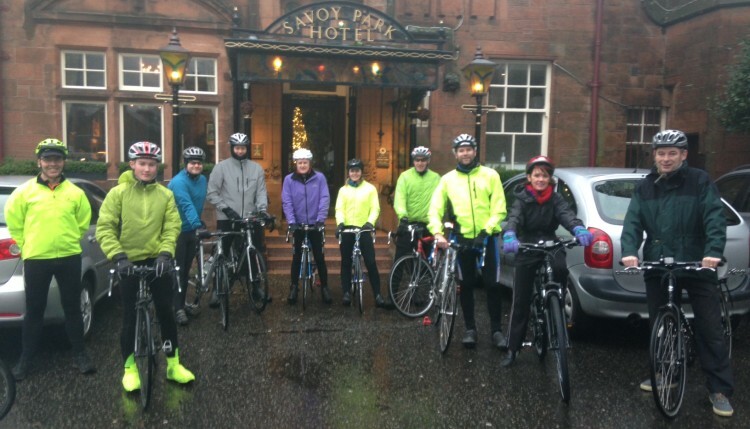 By the time riders reached the ride start point at the Savoy Park the rain had eased and spirits were high. 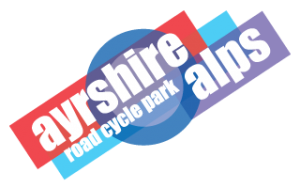 The first meeting of the reformed Ayr Burners Cycling saw a broad spectrum of attendees from seasoned racer John-Paul to youth riders Harry and Stuart and even Elleptigo rider Tim. Although the destination was set as ‘The Masts’ strong winds stopped play at the top of the main Carwinshoch Climb. Having ‘freshened up’ on the way up, our riders were blown all the way back to the Savoy Park Hotel were Rod Henderson was on scene to serve up the Gluhwein. A fantastic start to the day with new acquaintances formed already! Thanks and congratulations to all who made it out. Our next activity is the ABC Skills School – aimed at youth and novice riders with drills and games to develop group riding skills. The venue in Auchencruive on Saturday 3rd January.